Create ringtones on Audiko.net! 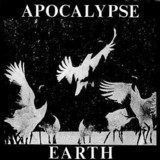 A perfect occasion to download a free Apocalypse ringtones for your iPhone or mobile. Go for your favorite segment from your favorite video - In My Mind - Ivan Gough & Feenixpawl, Stupeflip - Apocalypse 894, Andrea Lo Bue - Apocalypse, or any other track. You are free to download your tune both in the MP3 and m4a formats, supported by both mobile phones and iPhones. Just select a track, and choose free Apocalypse ringtones download option.